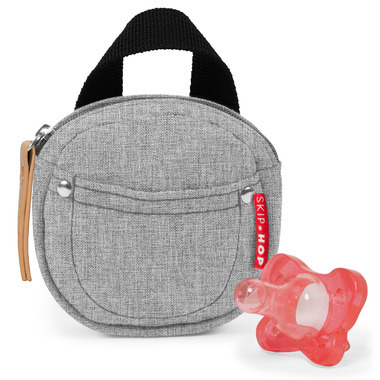 Skip Hop Grab & Go Pacifier Pocket keeps two pacifiers clean and handy with an Agion® Antimicrobial-protected lining. 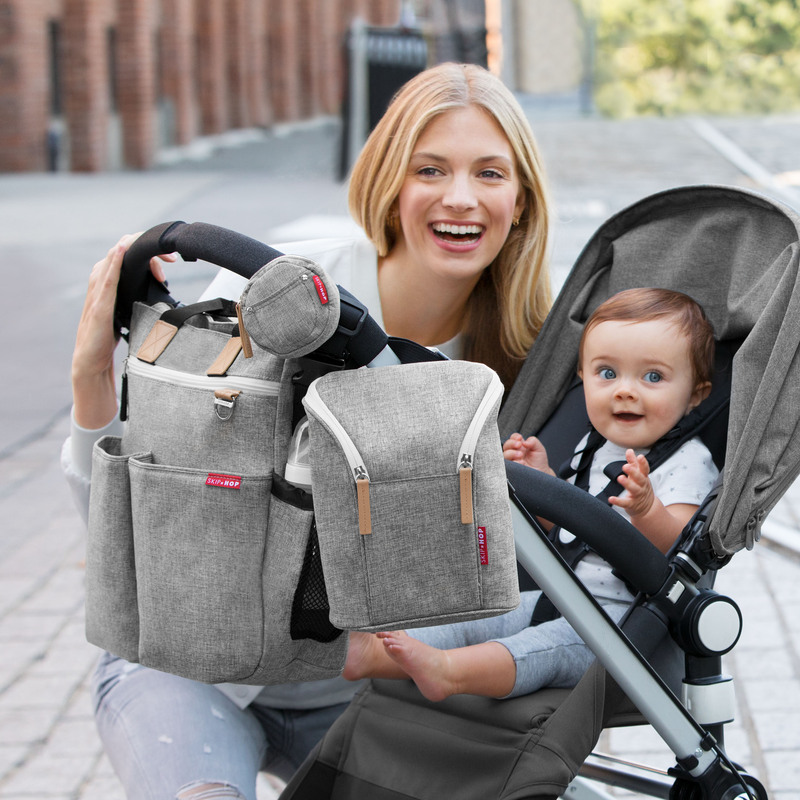 A convenient strap lets you attach it to your stroller, diaper bag or anywhere else to keep your pacifiers within arms reach. 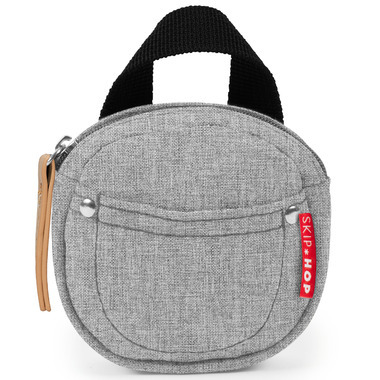 The zippered closure includes a small front pouch. Pick a pattern that matches (or mixes) with Skip Hop's diaper bags and other on-the-go accessories.